Solex Homes is a dynamic and international Finnish real estate company founded in 2013 in Fuengirola. From the very beginning, it has been important for us to look for our customers exactly what they are looking for. 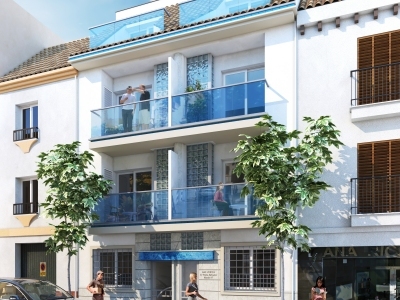 We have a wide selection of apartments on the Costa del Sol. Our office is located right in the center of Fuengirola, 50 meters from our bus station at Calle Jacinto Benavente 4. Welcome to the site or contact by phone or email, you can also leave a message to this site. We have been serving our customers for many years. We will help the whole apartment purchase process in the turnkey principle without any additional costs. Welcome as our customer. We offer our customers a "turn key" service, which means you do not have to worry about eg opening electricity and water contracts, internet, translating contracts, etc. We will do it for you! The first step to finding a cozy home is to submit an offer. Once the owner has accepted the offer, a reservation agreement is made and a booking fee is paid, usually between 3000 and 6000 euros, depending on the price of the apartment. Thereafter, a private purchase / sale agreement is concluded, which stipulates the terms of the sale and a down payment is normally paid which is usually 10% of the selling price. Your booking and deposit will be deducted from your agreed purchase price. The final stage of the transaction is a trade confirmation with the public notary and the signing of the official title deed. When an foreigner buys some real estate from Spain, he has to have a NIE number. This number can be obtained from the Police National Police in Spain. You will also need this NIE number to open a bank account in Spain. You may also want to use Attorneys' Services (Abogados) or Gestoria. Solex Homes offers its customers a "turn key" service that also includes attorney services. In Spain, all trades are done by a notary, and if the parties do not understand the Spanish, there always have to be an interpreter. Cost of buying an apartment in Spain. In addition to the purchase price of the apartment, you have to pay about 10% of the purchase price of the apartment. This approximately 10% consists of 8% of the property tax, 1% of the notariats and registration fees, the lawyer's expenses are usually 1%, the use of a lawyer is recommended but not necessary. We are listening closely to our customers and looking for suitable solutions together. We have good relations with local banks and we can offer as many as 100% financing for part of the sale of apartments in Spain as the only real estate agent in Spain, but the main principle is 70% of the purchase price of the apartment with the Spanish banks.Welcome.